Josh Beech Photos, News, and Videos | Just Jared Jr.
Daniella Perkins shows off her beautiful smile while attending the kick-off party for the new HangTime ride at Knott’s Berry Farm on Thursday (May 17) in Buena Park, Calif. 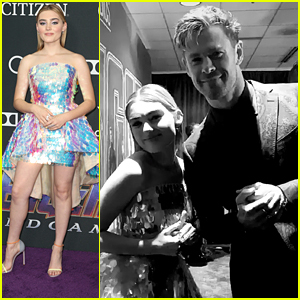 The Knight Squad actress was joined by her sister Deven, Famous In Love‘s Niki Koss, with boyfriend Sterling Beaumon, Shenae Grimes Beech and husband Josh, and Stella Hudgens, with boyfriend Eric Unger. Check out a video below of Niki and Sterling on the ride! Kat Graham Suits Up for iHeartRadio MMVAs with Keke Palmer! Kat Graham looks fierce in her suit while walking the pink carpet at the 2017 iHeartRadio Much Music Video Awards on Sunday (June 18) at MuchMusic HQ in Toronto, Canada. Some of the other stars in attendance at the event included Keke Palmer, 90210‘s Shenae Grimes with hubby Josh Beech, and Orphan Black actress Tatiana Maslany. 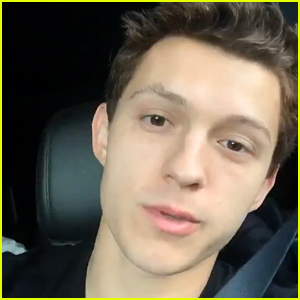 Keke put her newly shaved head and purple buzzcut on display! Kat has a reason to be celebrating this weekend as her new movie All Eyez on Me debuted with $27 million at the weekend box office, far surpassing predictions. FYI: Kat is wearing a Schiaparelli Haute Couture tuxedo. Keke is wearing a Josie Natori dress and Swarovski jewelry. 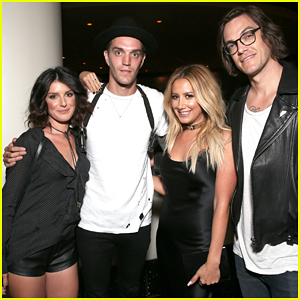 Rydel Lynch, Shenae Grimes, & More Attend Airbnb's Open Spotlight! Rydel Lynch poses for the cameras while attending the Airbnb Open Spotlight on Saturday (November 19) in Los Angeles. The 23-year-old R5 singer stopped by to help celebrate Trips, which will provide tours, tailored activities and other experiences. Shenae Grimes, with husband Josh Beech, Emma Kenney, Ethan Cutkowsky, Cody Simpson, Julianne Hough, Chord Overstreet, Courtney Eaton, Ireland Baldwin, Emma Roberts, and Cassie Scerbo were also spotted on the red carpet at the event. “Date night is always a great night with my partner in crime. Awesome show #airbnb!” Shenae captioned a photo on Instagram. Check it out below! FYI: Julianne wore a J Brand camisole. Ashley Tisdale Gets in Halloween Spirit at Haunted Hayride! Ashley Tisdale poses for a photo with a super scary dead bride at a Haunted Hayride on Sunday night (October 10) in Los Anegles. Also in attendance at the Halloween event were Jamie Chung and Bryan Greenberg, Zedd, Josh Beech and Shenae Grimes, and Ashley Madekwe. Over the weekend, Ashley took to Twitter to tease an exciting upcoming project! 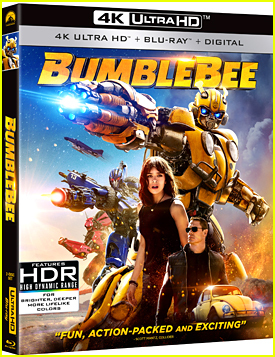 “Guys get ready! Something exciting is coming this week,” Ashley wrote on her Twitter. Stay tuned! 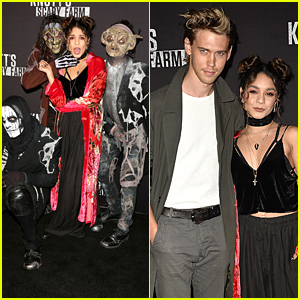 Vanessa Hudgens gets surrounded by monsters while arriving at Knott’s Scary Farm 2016 on Friday night (September 30) in Los Angeles. The 27-year-old actress was rescued by her boyfriend, actor Austin Butler on the black carpet. 90210 alums Shenae Grimes (with hubby Josh Beech) and AnnaLynne McCord had a reunion at the event and were also joined by Kellan Lutz, Dylan Minnette, Kerris Dorsey, Keke Palmer, Trevor Jackson, and Gregg Sulkin. FYI: Austin is wearing Timberland boots.